Zeus, the ruler of the Greek gods, turns up regularly as a theme on various online slot machines and very often in the company of WMS Gaming who have now developed Zeus 2 as part of their series of games; this one comes with plenty of free spins and some Hot Hot Respins. 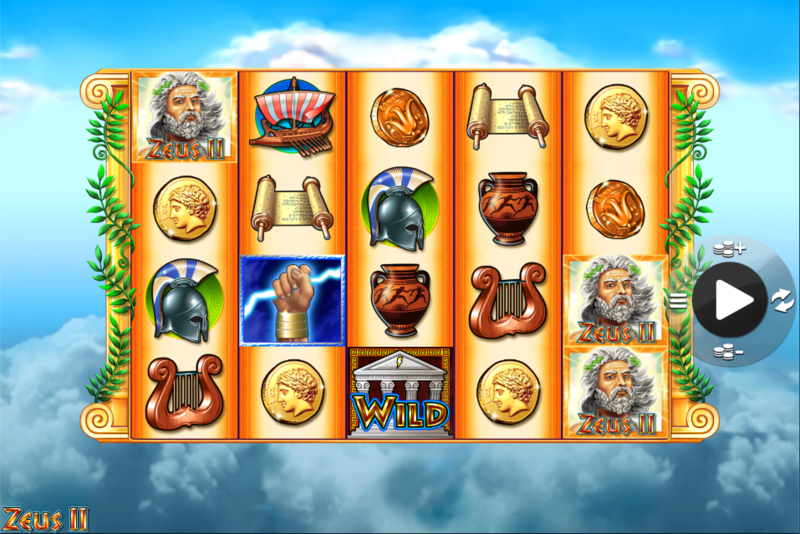 Zeus 2 is a five reel slot with four rows and fifty fixed paylines; those reels float high up above the clouds with Olympus presumably somewhere close by. All the symbols are related to the theme and include Zeus himself, the winged horse Pegasus, a multi-oared ship, a helmet, a harp, a vase, a silver coin, a bronze coin, a gold coin, a laurel wreath and a scroll. The temple is wild, it appears on reels two, three, four and five and it replaces all other symbols to help form winning combinations except for the bolt of lightning icon. 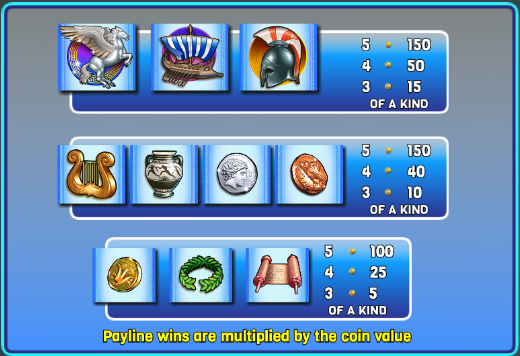 This is triggered by landing the stacked Zeus symbol on all positions on reel one and you’ll now receive two respins with Zeus and any wild symbols elsewhere held in place; any further wilds will also lock in place until the round ends and any the payouts are evaluated. Trigger this by landing at least three of the lightning bolt scatter symbols anywhere in view for which you will receive ten free spins. During this round there are more Zeus and wild symbols added to the reels, making it more likely that wins will occur along with the Hot Hot Super Respin. More spins can be retriggered with three scatter symbols. Zeus 2 is a playable-enough addition to the list of slots with this theme and we particularly like the Hot Hot Super Respin which can result in some big wins for the luckier players. Somehow the graphics and animations seem simple and sophisticated at the same time.